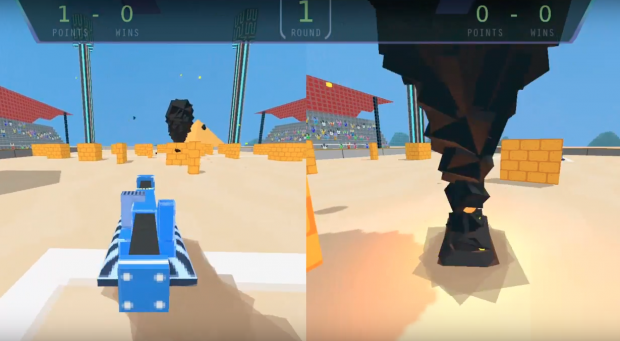 Announcing The Hover Tank Battle League Demo! After working on this game since the new year, it's finally ready for a V1 release. I do plan on adding to it after release, but the price will remain the same forever. Future updates and bug fixes free! If you have feedback or comments, please reach out! This is my first completed game ever, and I'm very eager to get input.